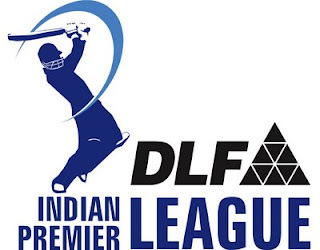 A few months ago no one can think of that IPL will be organised outside India with such pomp and show but its all about money and Money can buy anything in this materialistic world. some people can do anything from wearing biknis to avoiding Sari's. It not stops at that only the chairman of IPL telling FIFA to learn how tournaments should be organised, really he is right because after Indian government's refusal to provide security cover to players and organiser it become very difficult to get it ogranised and also attract spectators but Mr Modi has done both very effectively, kudos to him. This is what business all about. The opener between Mumbai Indians and Chennai Superstars was balanced equally after Mumbai's batting but the last few overs of Chennai batting can't gather enough run to avoid the defeat. Master blaster Sachin's inning will surely shivered the opposition because if its Sachin's day no one can stop him and so happen today, he takes the man of the match award for his calculated innings. In the second match the defending champion Rajasthan Royals bowled superbly to restrict Royal Challengers to a score of 133 and it seems Rajasthan Royal can easily achieve the target but what happened is the nightmare for Rajasthan Royals as they bowled out in the sixteenth over for 58, the lowest total of IPL and second lowest of Twenty20. Anil Kumble is the star of the match who took five wickets and at no time from the begining of the inning Rajasthan Royals seems to settle down. The most unhappy person today will be yes you guess it right Shilpa Shetty, the co-owner of Rajasthan Royals. She had done everything from dancing to shooting commercial for her team to cheer them up but it seems White Mischief cheered their team well in the end. Once again the old horns of Indian Cricket played a major role in both the matches, Sachin in the first match and Dravid and Kumble in the second match.